I’m here today at the United Nations for a very urgent matter. On September 1 at Ashraf, Iraqi forces massacred 52 persons and took seven others hostage, including six women. These hostages will be forcibly returned to Iran to be delivered to the religious dictatorship. They will be condemned to torture and death. I came to Geneva to call on the High Commissioner for Human Rights, Ms. Navi Pillay, to take urgent and necessary steps to save the lives of these hostages and it is incomprehensible why she has kept silence until now. The first step is to call for their immediate release. Silence will aggravate the threat to their lives. We have no more time. According to the latest reliable information confirmed by several sources, they are held in a prison near Baghdad airport. They are in the hands of a force under the command of the Iraqi Prime Minister. This information has been confirmed and verified by several sources and some have directly seen the hostages. The government of Nouri al-Maliki denies their incarceration in order to prepare their forced return to Iran. 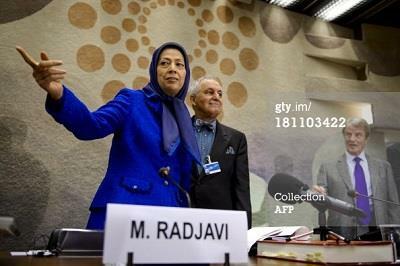 The mullahs’ regime seeks to keep the hostages by any and all means. 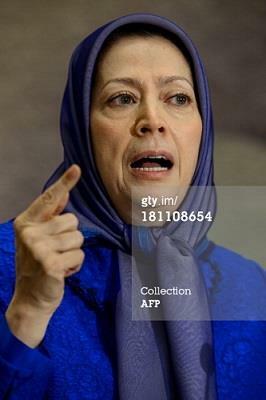 Mullahs have confirmed the scenario to deliver the hostages to Tehran with Maliki. These hostages are protected persons under the Fourth Geneva Convention and are asylum seekers. The United States had given these persons written guarantee for safety and protection. The UN and Mrs. Pillay have a responsibility to protect these people. These seven people stayed in Ashraf with the written agreement of the United States and the UN as did the other 52 that were massacred on September 1st. 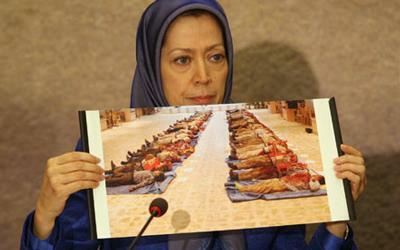 I have come here to warn that what has happened to the hostages, will happen to the other 3000 people in Camp Liberty. From here I would like to call on the UN Secretary General not to keep silent and to demand of the Iraqi government to immediately release the hostages. I would like to extend my gratitude for the opportunity to be here with all of you. When I was last here in February, I warned about the safety of the residents of Camp Ashraf and Camp Liberty, and said that if protective measures are not adopted, greater catastrophes would take place in the future. I called upon the United Nations to take immediate steps and emphasized that continued neglect of the demands of the residents would ultimately lead to greater catastrophes. I stand here before you at the UN once again in the aftermath of a pre-meditated mass killing of Ashraf residents on September 1. Prior to that, Camp Liberty was attacked on two occasions by rockets, which led to multiple deaths and injuries. Fifty-two Ashraf residents were killed during the vicious attack of Iraqi forces against the camp. Some had their hands tied behind their back while others were delivered coup de grace shots and summarily executed en masse as they awaited medical treatment at the clinic. Hours of video footage taken with mobile phones and cameras of Maliki’s forces and Iranian regime’s agents storming of Ashraf is available. I have personally talked with survivors and witnesses by phone. Iraqi forces confiscated cameras from the hands of those who were executed. We demand the Iraqi government release these mobile phones and cameras that it confiscated from martyrs and wounded persons. The massacre constituted a crime against humanity. 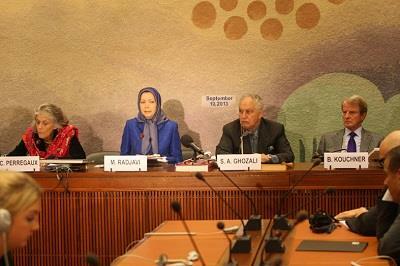 Sympathizers of the Iranian Resistance have started a hunger strike to demand the liberation of the hostages. Some of them are with us today. I am concerned about their health and those who are on hunger strike at Liberty and in other countries. And those who ordered and who carried out this crime must be brought to justice. The victims were all protected persons under the Fourth Geneva Convention and were classified as asylum-seekers by the UN High Commissioner for Refugees, subject to international protections. Iraqi forces also took seven residents hostage, and their fate is currently unknown. The United Nations bears responsibility for these hostages, as does the U.S. government. Today, they are in Iraq and face the threat of being extradited to the religious fascism ruling Iran, where they will face torture and execution. I invite Ms. Navi Pillay to call for the immediate release of the hostages. I call on governments to take action. And I invite all non-governmental organizations to try to secure their release. Had previous warnings been heeded, the Iraqi government would not have dared to carry out such a massive crime, and the 52 victims would have been alive today. The children of the dead fathers and the mothers who lost their children are sitting here in this very hall among us. Who can answer to them? Could not this crime against humanity been prevented? I would like to ask the United Nations and specifically the UN High Commissioner for Human Rights: What measures were taken to prevent this catastrophe from taking place? There is no one who can claim that they did not have prior knowledge. Why were there no investigations conducted into the previous series of massacres? Since the U.S. government’s transfer of protection of Ashraf residents to the Iraqi government to date, in the course of five massacres and twelve separate attacks carried out by the criminals working for Nouri al-Maliki, 112 residents have been murdered, 1304 have been wounded, and 14 others have gradually and painfully lost their lives as a result of an inhumane medical siege. The September 1 massacre took place while Ashraf was completely under siege by Iraqi forces and not even a single person could enter the camp without the permission of those Iraqi forces. The suggestion that apparently unidentified individuals entered the camp without the knowledge of Iraqi forces, committed the crime, and ultimately managed to flee the scene, is an affront to human intelligence and wisdom. Even remaining silent about this great deception, let alone trying to legitimize it as a probable scenario, is tantamount to whitewashing the crimes of the perpetrators as well as colluding with them. We have exposed those who ordered and those who perpetrated this crime, and if an impartial investigation were to take place, all the facts and truths will be easily and quickly revealed. There is a very clear equation. The Iranian regime is facing its largest crises yet. Infighting within the regime has intensified since the sham presidential election in June. The regime is extremely worried about the prospect of the Syrian regime’s downfall as well as about social protests inside Iraq and the shifting of the balance of power against its puppet government in Iraq. Therefore, the regime is desperate to destroy its organized opposition as fast as possible. In order to remain in power, Maliki is implementing the orders of the Iranian regime to the letter for massacring members of the People’s Mojahedin Organization of Iran (PMOI/MEK). I have previously announced on many occasions that the Iranian regime’s preferred option is not to transfer the PMOI to third countries. Its objective is to either annihilate them or force them into submission or surrender. 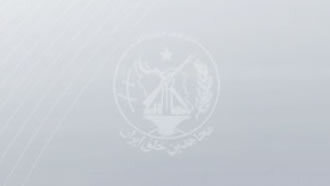 Today, the regime’s officials are clearly stating that the PMOI must be wiped off the face of the Earth and that any country willing to accept them must be rejected by the regime. 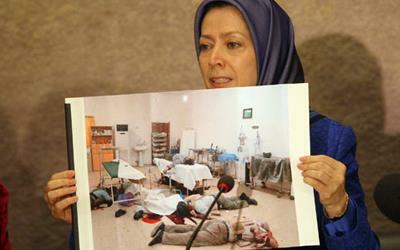 The Iranian regime sees the annihilation of the PMOI as the guarantee for its survival. Therefore, the burden of obligations of the United Nations and the U.S. government, who have deprived the PMOI of their legal and natural right to defend themselves, is extremely heavy. They bear complete legal, political, moral, and international responsibility with respect to every drop of blood shed at Liberty, and they should be held accountable for failing to fulfill their obligations. What is tragic is that these residents had stayed at Ashraf on the basis of the suggestion and proclamations of guarantees issued by the UN and the U.S. and with the agreement of the Iraqi government. He also told AFP on October 3, 2012 that there is “no time limit” for the 100 residents remaining at Ashraf. Therefore, I have come here today to ask: Who is responsible for the death of the 52 residents who stayed at Ashraf on the basis of the guarantees provided by the UN and the U.S.? Look into the eyes of those who have lost their loved ones. What would you tell them? Since the signing of the Memorandum of Understanding between the UN and the Iraqi government, which took place without the knowledge of the residents, the UN and the UN Secretary General’s Special Representative repeatedly, both verbally and in writing, assured us that if the residents accepted to be transferred from Ashraf they would receive protection. They claimed that Liberty is a safe place. This was a big lie. At no point was there 24-hour monitoring. So, where were the UN monitors as missiles were raining down on decrepit trailers and unprotected residents? When the last remaining 42 residents were being transferred to Liberty, UNAMI provided us with a written roadmap, which the Iraqi government had agreed to and the U.S. supported. But in practice none of the contents of that plan have actually been implemented. Yet the UN has not protested to the Iraqi government. A commitment was given that simultaneous with the transfer of the 42 remaining residents, the protection requirements for Camp Liberty, including T-walls, would be fulfilled. But after two weeks, only a limited number of T-walls have been taken to the camp without allowing them to be installed. The residents are not allowed to bring in their protective vests, helmets or medical equipment from Ashraf. It must be asked why has the UN remained silent with respect to this blatant violation of commitments? The reality is that the promise of ensuring security by the Iraqi government is nothing but an illusion. The real meaning of security by Iraq is more massacres. Do the UN and its member states want to prevent another massacre or not? It is also clear that disregarding the security requirements of the residents at Liberty and delaying such measures under the excuse of an elusive notion of resettlement has no other meaning but to welcome more catastrophes. Through the comprehensive efforts of ourselves and the UN High Commissioner for Refugees, since 2011 up to now, only 221 residents have been transferred to outside Iraq. Now is the time to take practical and public steps. 1. Before anything else, the international community and especially the U.S. and the UN must take measures to free the hostages. The Iraqi government must realize that it cannot enjoy the extensive privileges of relations with the international community while at the same time committing the most egregious crimes such as massacres, kidnappings and hostage-taking. 2. Until all the residents have been transferred to Europe or the U.S., the only means of protecting them is the posting of a full-time UN monitoring team and a unit of Blue Helmet forces inside Camp Liberty to protect the residents. Without the presence of this third party at Liberty there can be no conceivable security. At the same time, the 17,500 protective T-walls must be installed at Liberty and the residents’ protective equipment, including vests, helmets and medical equipment, must be transferred to Liberty. 3. Property rights of the residents to their moveable and immovable assets as well as the right to sell their assets under the supervision of Senator Robert Torricelli, their legal representative, must be guaranteed. 4. The UN High Commissioner for Human Rights must conduct an independent probe into the massacre at Ashraf in a set time limit. This would prevent future attacks. Once again, I call upon all of you to make efforts to free the hostages.